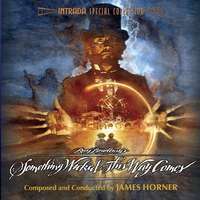 The Words of James Horner is a series of articles intended to republish some twenty interviews Didier Leprêtre and Jean-Christophe Arlon conducted between 1997 and 2006 and published only in French in the magazines Dreams To Dream and its successor Cinéfonia. Unfortunately, the English-language audio tapes of the interviews are now lost, so we decided to take the French-language publications and retranslate them into English as faithfully as possible. 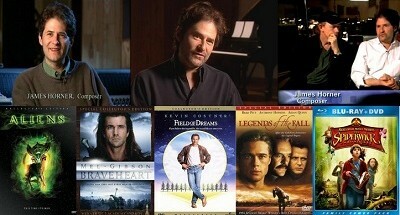 We are immensely grateful for the chance we have been given to publish the colossal work done over the course of an entire decade and to give the interviews a new lease on life, all the more since we think they are an invaluable and unique window into the oeuvre of James Horner. DtD) Mr. Horner, does the composer of Titanic have a musical family ? JH) Music was a big part of my family. My father had a great love of music but obviously, he ended up doing something very different than what I did. I took up the piano as a child and went on to perform the French horn in an orchestra. I was born here in California but I grew up in London. I got all of my music training, or most of it, at the Royal College of Music. I went on to obtain a master’s degree at the University of Los Angeles (UCLA). I taught music theory at UCLA and later started my Ph.D. in Music Composition and Theory there. DtD) Can you think of important influences on your work, or people who have guided, in part at least, your present career ? JH) Not as far as cinema is concerned. I was trained as a classical composer, which means I love the music of Berlioz and Prokofiev. But when I started to compose for the movies, no one was a real influence. DtD) Not even Jerry Goldsmith, who was one of your friends ? JH) No, not even Jerry Goldsmith, even though early on, I was asked to imitate his sound, to write like him, even to re-use some of his music, like in my very first films, whose directors were obsessed with Star Trek : The Motion Picture or Alien. DtD) You mean movies like Battle Beyond The Stars or Humanoids From The Deep? JH) Those two, and others. 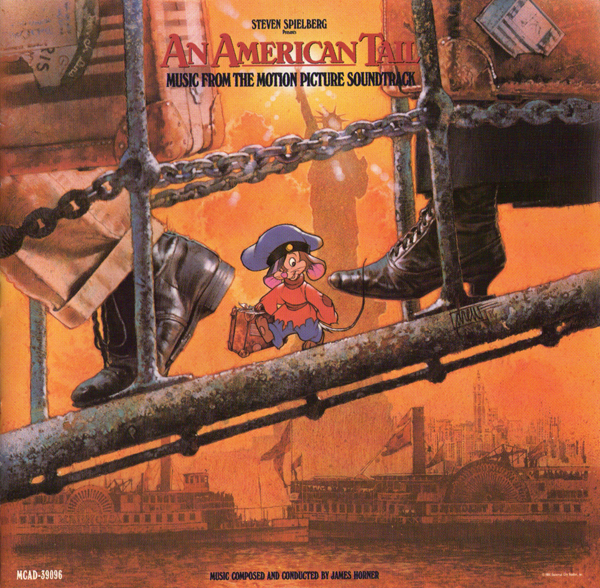 People often told me: « I’d like the music to sound like Jerry Goldsmith or John Williams. » I invariably answered them that I did not want to compose like that and they always said : « Fair enough, but that’s what we want. » So it really came down to this choice : emulate the sound of other composers or leave the project. But in terms of actual influence, no, I don’t think anyone has really influenced me. I never thought that one day I would end up in the world of film music. As I said, I was a teacher at UCLA and I started my Ph.D. I grew more and more impatient with the academic environment and the concert hall and I tried to get a few of my pieces performed. I often asked for try-outs and after weeks and months of begging, some obscure ensemble agreed to perform a small string trio or quartet. All the while, they acted like they were God bestowing gifts upon his flock. I was simply fed up with it all. Here, in America, there’s an organisation called the American Film Institute. It gets lots of young directors started. I was asked to score a film and I said yes. Afterwards, I fell in love with film music composition, something I never thought would happen. I subsequently scored more movies for the AFI and I was finally able to leave the world of academia. I started to stop teaching and I also stopped my doctoral work. I left that world and turned my attention to cinema. DtD) So you had been a music teacher until then? JH) Yes, at UCLA. More precisely, I was a music theory and composition teacher. DtD) As Variety magazine wrote last December, you were part of the « rock ‘n’ roll » generation shaped by the likes of the Beatles, the Stones and Elvis Presley. What do you make of that music ? JH) You know, it’s funny… I often get that question. In that respect, I’m sort of outdated. I’ve never been into pop music. My friends never listened to classical music and I was always at the fringes of that world. I was and still am something of a loner. I spend a great deal of time alone or with my family. I love classical music and I like to write in that style. I was nine or ten when I decided I wanted to be a music composer. I don’t remember exactly how it played out in my mind, but even at that age I knew exactly what I wanted to do: write classical music, whatever name it had or whatever shape it took. I wrote music for choir and I was always trying out new stuff. But rock ‘n’ roll was never my thing. As a child, I knew I had different tastes even though I couldn’t put my finger on it. Of course, when I started composing for the movies, I learned a great deal about rock ‘n’ roll, because obviously, I had to adapt in some way or other. 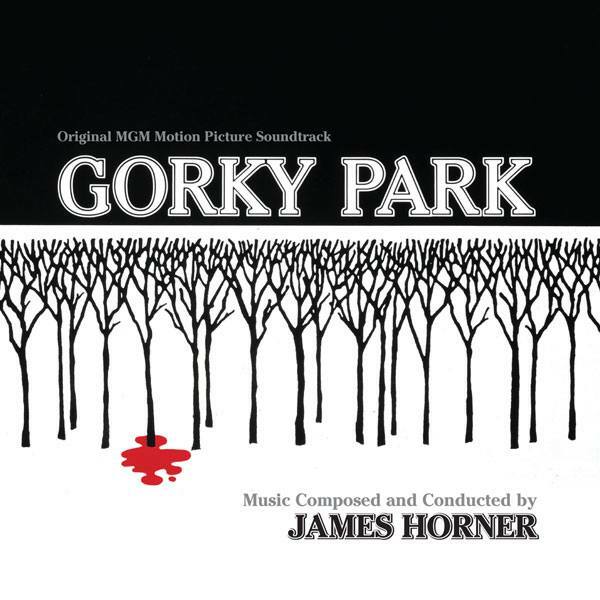 When working in film, you constantly adapt yourself to the project at hand and you wouldn’t approach a score like 48 Hours or Gorky Park in the same grand symphonic fashion as, say, Braveheart. For 48 Hours, especially, I had to get used to lots of disparate musical styles. But those projects were also great fun. Ultimately, however, I couldn’t simply dial out my personal way of writing. . Rock ‘n’ roll music was never terribly important to me. DtD) Was that ever a problem for you ? JH) Yes and no. It was not really a problem when the producer said : « We’d like a big rock ‘n’ roll score. » I would answer quite simply : « Go and ask someone else, I don’t like to write that kind of music, there are people who can write music like that in their sleep. » From an emotional point of view, it doesn’t bring anything to the project because I have to be present emotionally when I work on a score. For 48 Hours, there was always a kind of street vibe with lots of drums and stuff like that. 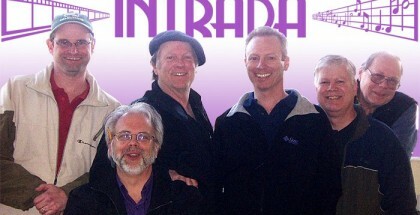 The producers came to me and said they wanted a rock ‘n’ roll score. I said I wasn’t a rock ‘n’ roll kind of guy. They said : « We want you to do the film, and we’d like you to leave your personal feelings out of it. » So I ended up giving them my version of what they more or less wanted. Gorky Park was also something along those lines, but it played out really well, when I think of cues like Following the KGB and Chase Through The Park. For Cocoon, I wrote a rock cue, and it wasn’t a song really, but more of a source cue, something the characters danced to in the film. It fit the scene very well but I still don’t see myself as a rock ‘n’ roll musician. There’s a big difference. That music has a very different structure, and my songs sound more like the lieder of Schubert or Strauss. DtD) You have a knack for using exotic and ethnic influences within an otherwise predominantly western idiom. Could you give us some examples of that kind of fusion score that worked out particularly well between 1980 and 1985 ? JH) It’s something I like to do : use exotic instruments, from Bali or China for instance. Things that an audience wouldn’t expect. It’s not just about the instruments, though, it’s also about the music of those countries. Take Chinese music and try to combine it with traditional western film music, lay them on top of each other, and you’ll see lots of exciting things happening. I try to do that in almost every film I work on. For Gorky Park, we used a lot of Russian instruments. For another movie, we resorted to Chinese instruments. 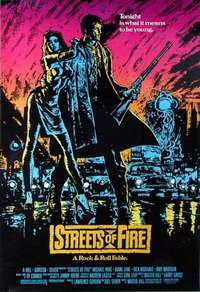 Even something as urban and American as Streets Of Fire has a great deal of exotic sounds. I like to combine music from different countries and mix it in with film music. It’s something that works really well. I also consciously write music for those exotic instruments, and the way it is played by them, it sounds like music from Bali or China. JH) Those words haunt me ! While composing – and this may sound very abstract – I tend to think vertically about what instruments or what chords can be heard in any isolated moment. What’s the best possible color… is it an oboe, or a flute, or an oboe and a flute, just to give you an example. Only after having decided what the right color for the piece is, do I start composing an appropriate melody. I tend to think that way. The scene comes first and then I ask myself what the right instrument would be, in which scene it would be great. So I don’t just write a beautiful melody and wonder later about the instrument that will play it. For me, it’s the other way around : I first think of what the instruments mean and then I’ll write themes for them. Other composers will compose a flute melody that takes two minutes and they go on to orchestrate that melody. For me, it’s a lot like painting, painting with colors. The way the melodies are handled does not mean a lot to me, it’s the act of painting, the color palette that matters most. DtD) Consciously or not, did you ever follow the methods practiced by the likes of Ennio Morricone or John Williams ? 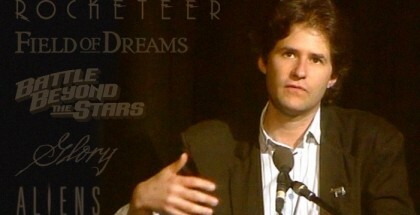 JH) When you mention film composers as possible role models, I would say that it’s really James Horner at work. But of course it’s not just me. I mean to say that I have 300 or 400 years of music history inside me and I live with that history every day. So, whether it’s Palestrina or Stravinsky, they are all my mentors in a way. I grew up in that musical world. I never do it intentionally, but you see, there are only 12 notes in music and it would be very hard not to display at least some degree of sensibility toward the history that has produced it all. So, I don’t think I’m influenced by film composers but rather by the large spectrum of classical music. DtD) What do you think of the use of the Wagnerian leitmotiv as a guideline for a full-length film score ? JH) It depends on the film. When you build a score around themes, or even other building stones, you need to integrate them into the fabric of the film, they should run through the score as its unifying threads. There’s a big difference between being able to write a magnificent thematic piece (running an average of one minute or 50 seconds, even in Wagner) and extending it to the length of a movie sequence, which might be as long as nine minutes. I love leitmotifs and the way I can thread them through the score, but it really depends on the kind of film, you know. You have to be really careful about leitmotifs. They will work in some movies, but not in others. When you have ten characters on the screen and you write for each of those characters, you end up with ten leitmotifs. That’s in the tradition of Wagner, of course, but at the same time, it’s very easy to forget which idea refers to which character. When you do a film score, you have to keep things simple, use perhaps two really good themes that stick in the audience’s mind and that they can walk away with. 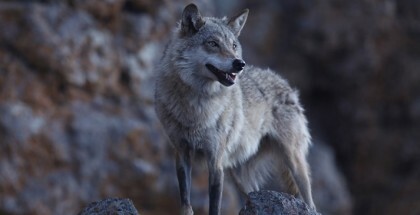 You would perhaps change the mood with a theme for the bad guy, an idea that is an attention-grabber, because you cannot progress as deliberately as Wagner. In the movie theater, you’re not serving up Siegfried or whatever, in any case not a program littered with leitmotifs. DtD) At that time, what made you decide to accept or turn down a movie ? JH) I have always believed that films should be about emotions. In the past, I was not really in a position to select the films that were highly charged from an emotional point of view. I hadn’t made a name for myself yet, I was still something of an unknown. These days, it’s easier for me to choose my projects. When someone calls me and says : « We want you to work on our film, we love what you do», then yes, your ego sometimes makes it hard for you to turn down an offer like that. On the other hand, when I decide to do a film, I tend to look for something that clicks with me, or that represents a challenge, or something that frankly, brings tears to my eyes, like Titanic. But sometimes I will work on very small films, intimate movies, which I like a lot. 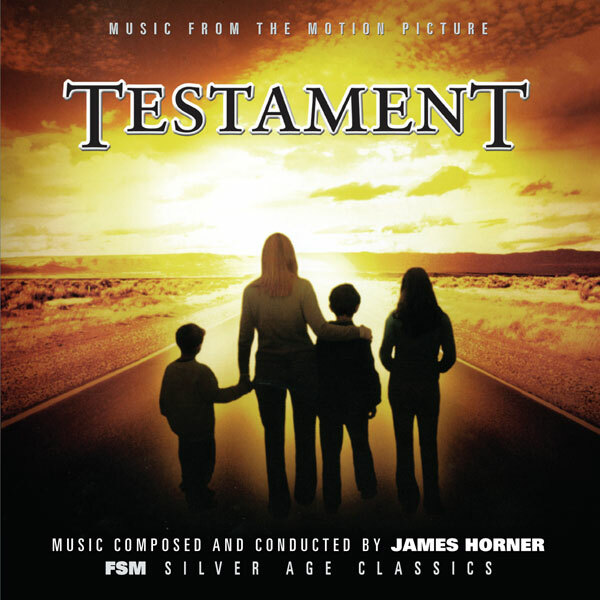 Think of Testament, small movies that were conceived remarkably well when compared to big-budget fare. Movies like Star Trek II and III represent a very different approach. DtD) Mr. Horner, does your contract with Sony Classical mean that you will also be writing for the concert hall in the future ? JH) At one time, I was very active in the concert hall. These days, I exclusively write for the movies because you simply cannot stop writing for the movies, deliver a symphony and simply return to the movies. It’s a vastly different process, and it’s the movies that I like most. Right now, I have no interest in writing for the concert hall. I think it’s because I love the movies so much, this fusion of music and visuals, and between them, they are much more powerful than music on its own. It’s great to listen to Mahler’s 5th, it’s a grand piece. 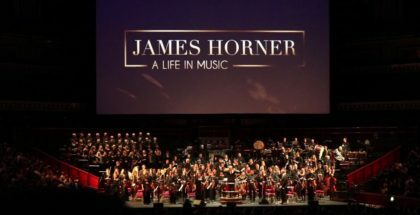 But as far as contemporary music is concerned, there is no way a James Horner piece could have the same effect on a concert hall audience as in a movie, where it is able to make people cry and say : « what wonderful music » or « what a wonderful movie ». That is what I’m after these days. I love composing for film. 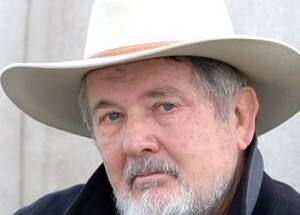 For me, it’s like Prince Esterhazy and Mozart, the Austrian Archbishop and Haydn… Whatever the project, you get six to eight weeks to score a film, and at the end of that period, your music is performed by a group of exceptionally talented musicians… The same thing happened to Haydn, or Beethoven, or Mozart. The only difference is that I work for the cinema, and I compose notes that go with visuals. In many ways, I feel like I’m getting opera commissions. The only difference is that I am working in a different century. Let me stress that again : for me, writing for Cocoon, Braveheart or Titanic is like composing an opera. You get a libretto and you compose music that reflects the libretto, in this case the movie. 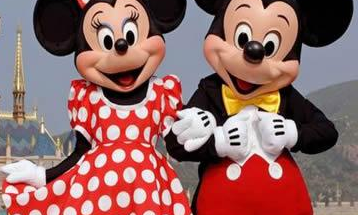 DtD) Have you ever considered a career as a conductor ? JH) No, I have played the piano and the French horn in an orchestra but only for myself, because I am not interested in performances as such. Conduct an orchestra ? Only when it’s my own music ! I have never been asked to do any other conducting, except perhaps Titanic. Would I do it ? If it was my own music, perhaps. I have had requests for that in the past, but I always turn them down. The performance itself is less important to me than the writing process and the integration of music into the film. By the same token, I’ve never been interested in playing a Mozart symphony. There are plenty of conductors out there who are far better at that. DtD) Hollywood has a great film music tradition. 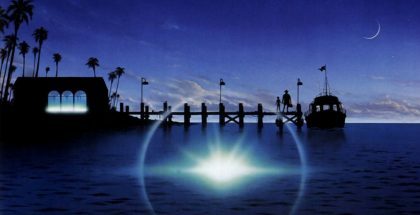 How do you think film music has changed over the past decades ? JH) Yes, Hollywood does have a great film music tradition. There have been changes : in the forties and fifties, the music was very rich, with large string sections for instance. Movies were scored « wall to wall », meaning there was music from the very start of the movie until the very end of it. Many of these movies were admirable and grandiose, but my scores are not cast in that mould. I think music loses its impact when it is used that way. These days, you have to be very careful not to go overboard with the music. Since the fifties, film music has undergone major changes. Rock, dance and rap are just a couple of recent examples. They are being used whether the movie needs them or not, mainly because someone believes they will sell soundtrack albums down the line and soundtrack albums are a real way of making money for the studios. Flashdance and The Bodyguard are contemporary standards. Of course, pure music composition is nowhere near as flashy, but fortunately, its time will soon come back. At any rate, things have changed in terms of deadline and economic considerations. In this day and age, I can compose contemporary music on a synthesizer and sell four million copies. On the other hand, I can employ eighty musicians, invest ten times more time, spend up to six days in a recording studio, and sell only 40 000 copies. The economic reality has changed : the producers want to win their investments back and fast. It follows then that synthesizer music is « modern » and contemporary dance music is « very modern » … whereas orchestral music is way out there at the other end of the spectrum. Sometimes, you’ll see a film like Ladyhawke [score composed by Andrew Powell], set in Europe’s Middle Ages but scored with contemporary rock music. These things simply do not work. The stuff Vangelis composed for Chariots Of Fire, on the other hand, worked like gangbusters ! It was a daring experiment. The same goes for 2001 : A Space Odyssey, with an elegant Strauss waltz for an equally elegant spacecraft wheeling through space. These days, everyone seems to want « modern music » for their movies. Whether it is appropriate or not is rarely an issue, and record sales are all anyone cares about. DtD) What do you « tend to do » these days ? JH) I still like to experiment, but I have also become much more cautious. I still take huge risks with my music, not only in terms of the sound I go for but also in terms of how I use music in individual scenes. At the same time, I think of easier and non-traditional ways of developing something, allowing myself to be influenced by the emotional underpinning of a scene. More precisely, I would say that my compositional style is far more sober than most. I’m very difficult when it comes to spotting the music. I take a lot of risks because I get offered a lot of projects. You know, left of center, you never know where you’ll wind up. The people I work for are aware of this and expect it of me. They’re never completely sure of the music they will end up getting and that’s a good thing. DtD) In the early stages of your career, was there a film that really got your blood pumping ? JH) Cocoon! 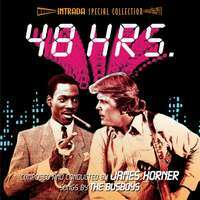 Of course, I had a great time working on other films : 48 Hours, or Brainstorm, which I think is fantastic. The score was a very peculiar marriage between film and music. It’s the reason Douglas Trumbull and I are still friends. But Cocoon stirred something inside me, a sort of passion and emotion that the film conveyed extremely well. 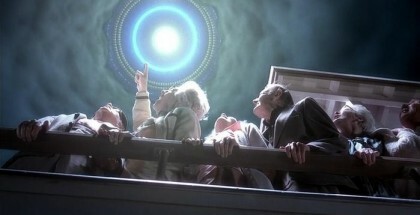 It’s an absolutely wonderful film about old people who get a chance to be young again. The film touched me because it looked at these old people in very subtle ways. It was one of the first films that moved me to tears, even though it wasn’t sad at all. Quite the contrary : it was a captivating and magnificent piece of moviemaking. In the years since, Titanic has made me weep my eyes out, of course (chuckles). DtD) Cocoon is very popular with our readers. JH) Well, the music is beautiful but also very simple, reflecting and supporting the movie’s simplicity. For most scenes, I needed nothing beyond a guitar, a harp and a piano. That score is very dear to me. DtD) But in order to arrive at the level of perfection displayed by Cocoon, you had to go through a whole lot of steps and movies. JH) That’s true. 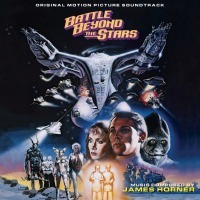 I covered a lot of ground between Battle Beyond The Stars and Krull. But I guess it was a learning curve. You learn the ropes while you compose for your first films, familiarising yourself with techniques and making mistakes you wouldn’t make again later on… Later on, you notice that the quality of the movies you score is not all that important. DtD) But still, you need at least a couple of blockbusters to make a name for yourself. JH) Theoretically, yes. In my case, it was different : even though Brainstorm, Krull and Gorky Park all bombed, I had forged a certain musical identity that made the studios sit up and take notice. DtD) That proves that you were a wunderkind. JH) Only Mozart was a wunderkind, only Berlioz, Prokofiev and the likes are geniuses ! No, I simply expressed my own identity and my ideas on film music, which were the result of the lessons I had learned. DtD) Was there a Ligéti influence in Brainstorm ? JH) Of course. The Brainstorm score was almost a tribute to his teachings, his technique of dissonance, music at its most abstract. The clash of styles, the opposing melodic lines… I sort of took his theory and put it into practice. He also asked us to quote other pieces of music in a very specific way. For Michael’s Gift To Karen, I just had to quote Schubert if I was going to be musically consistent. Quoting, you know, is quite an art. You need to integrate a quote in such a way that it does not hurt your own music or the original composer’s. That’s a far cry from the practice of imitation that is so pervasive in film music. When Monet quoted the Renaissance painters, he used it so well in his own canvases that he achieves a wondrous kind of unity. Brainstorm was a bit like that. Glory too, of course, and there are other scores. DtD) Its a rather « European » concept of music. 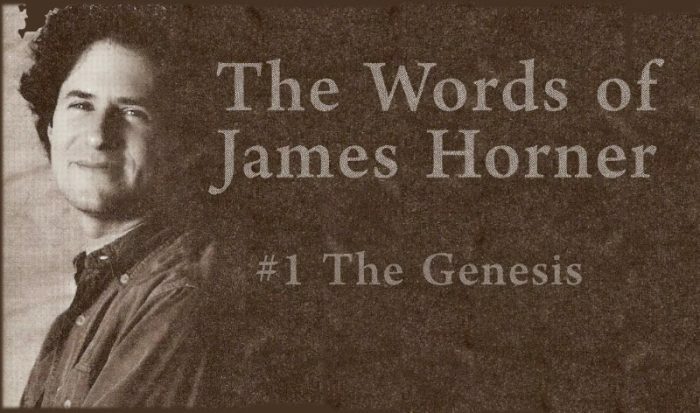 JH) Here, in the United States, people tend to confuse quotes with pastiche or worse, plagiarism. People here don’t understand. DtD) To tell you the truth, we don’t give a damn. It only shows how narrow-minded they are. JH) (laughs) Yes, I’m sure you’re right. The best example is The Planets by Gustav Holst. 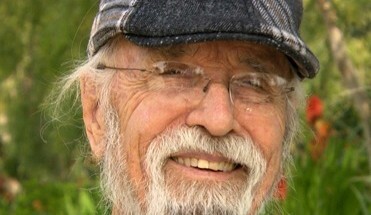 Every producer here knows every note of every planet; not a day goes by in Hollywood that such and such a composer isn’t asked to mimick Holst’s work. For Krull, for instance, I pastiched Holst rather than explicitly quoting him, as did John Williams for Star Wars. It was rather amusing and interesting. DtD) At the time of Krull, you said that « every quote has a meaning in my music ». JH) Fortunately ! 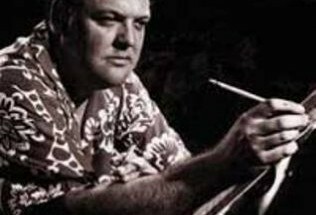 I am not one of those composers who hide their quotes for fear of being criticized, or for fear of having to admit how much they depend on them. One must never quote blindly, just to please oneself or the producers. You end up losing all credibility, and your music will sound sterile. 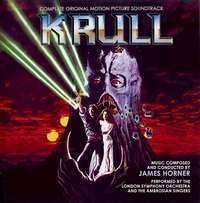 In that respect, Krull was a very good score. In many ways, it was the best score I had composed up until then. True, Willow is more complete in that respect, but Krull is a bit more fantasy-ish and very agreeable. DtD) The fans think it’s one of your reference scores. JH) Reference ? I would hope not ! It’s agreeable but nothing more than that. Brainstorm is more complex and interesting, and so is Cocoon, in spite of its apparent simplicity. DtD) And what about Something Wicked This Way Comes? JH) I had very little wiggle room. Georges Delerue’s score had been rejected, and the producers wanted something completely different. I was made aware of what I should not do, but that was about it. Nevertheless, it was an important experience, because it allowed me to measure the influence a score can have on a film. I had had a similar experience working on Brainstorm. 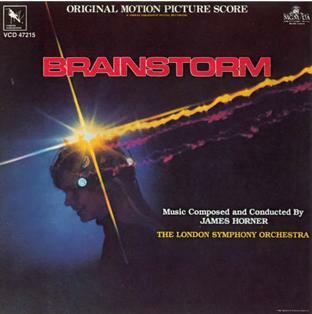 In that sense, Brainstorm and Something Wicked This Way Comes were far more important scores to me than Krull, Star Trek or Willow, to name a few. 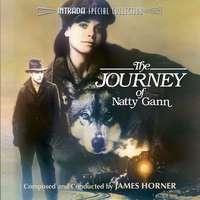 DtD) To me, the pinnacle of this « less is more » approach is your wonderful score for The Journey Of Natty Gann. DtD) I do (laughs) ! JH) (laughs) The movie is very much in the Disney vein, and so is the music. The theme is catchy and vivid. The score is full of life. Maybe that’s why you like it so much ? DtD) That, and because it sounds so youthful and so refreshing in the context of that period. 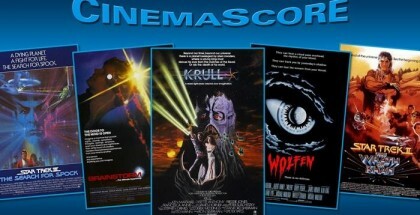 Brainstorm in 1983, Krull in 1984, The Journey Of Natty Gann and Cocoon in 1985. It was enough to make one realize you were on the road to becoming the greatest! JH) Oh, am I the greatest ? DtD) Yes, you are ! JH) No no. Let’s just say that the films you mentioned were steps that led to Cocoon. 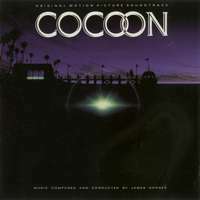 There was a time before Cocoon and a time after Cocoon, because Steven Spielberg loved the movie and my music. My career really took off after Cocoon and An American Tail. That is when I became a part of the Hollywood tradition. DtD) Apart from the Hollywood tradition, what do you think of movies made in other parts of the world ? JH) I always take an interest in music that uses, say, reggae of African rhythms in the context of traditional music. It’s a really fertile combination. South American music does not mean a lot to me. I only like to use instruments from countries that give my music a certain sound. So as a result, I do a lot of experimenting in that area. DtD) What exactly do you mean? JH) I come from a world that I have always thought is on the brink of collapse. All my life, I have studied orchestration, analysis and counterpoint, my training was always formal. But the times have changed, lots of young composers are just out of college, they have barely had one year of higher education, they haven’t even had a chance to specialise in music and yet there they are, wanting to be a composer. It’s really hard to be successful, and you have to know very precisely what it is you want to do. And if that’s pop music or rock ‘n’ roll, then you don’t really need all that formal training, but if you do what I do, symphonic work, if you want to become a multi-faceted composer and a true musician, then you had better get down to training. DtD) How do you feel about working in the world of television? DtD) Would you ever leave Hollywood to work in another country, like France or Germany ? JH) No ! I like going to England. I grew up there and my whole life was there. But right now, I have to live in Los Angeles because it’s where the movie industry is. It would of course be different if I had won 10 Oscars. I would perhaps be able to live in London and still get movies offered by telephone, but it would still be a huge risk. You have to live in Los Angeles if you really want to work in the movie business. I wouldn’t like to live in Germany, even though I have relatives there. And not in France, either. I obviously like to travel as often as possible. But right now, in terms of movies and music, England is the only other country that offers any kind of perspective. I like to go there whenever I have a chance. DtD) You have said that you like to work alone. Do you know other composers in Los Angeles ? JH) No, not at all. I don’t go around chatting with other film composers. I live on the fringes of it all. I’m not really a part of Hollywood, I hate that world ! When I’m done working, I take my car and go home. I’m not part of the Los Angeles society. They don’t even invite me to their evening events anymore. I got invited lots of times in the past and it still happens occasionally, but I never go ; I don’t like to move in those circles. I don’t look for the company of composers. DtD) Do you have friends with whom you can discuss music ? JH) I have a couple of friends but… No, I don’t discuss music with people. It’s not like in Europe, where you grow up in a community of friends, where you can go to a pub and discuss radical new art movements, where someone says « It’s no good » or « It’s great ». That would not happen here. The people in Los Angeles barely know who Mozart is. They rarely go to concerts. And the concerts here are all about the same old standards: Schubert, Schumann, never Ligéti or Penderecki, nothing like that. People here only know about the world of cinema … and rock ‘n’ roll, rap and dance music. They are completely clueless as to what happened in the world of music prior to 1950… They may know a bit of Brahms, maybe a bit of Wagner… but that’s it. DtD) How about European films ? Source: The Master out of his Cocoon by Didier Leprêtre, Dreams to Dream … 's. Thank you very much for this wonderful piece from James…..it is very special and I will enjoy taking in every line over the weekend. We all appreciate your commitment to keeping James with us, especially for this week, still cannot believe it’s been two years now. Pamela.